The library staff have created a menu of online information literacy modules that highlight the research skills needed to be successful during the first two years of college. These workshops may be required by individual course instructors. Students should check their syllabi at the start of the semester to determine which modules are required in each course. If you do not need to complete any of the modules this semester you can ignore the classroom. If you would like more information about information literacy or Wayne College's information literacy program, visit the Information Literacy Guide. If you have any questions regarding this course contact Maureen Lerch during normal office hours. You can expect a response within 24 hours, Monday through Friday. 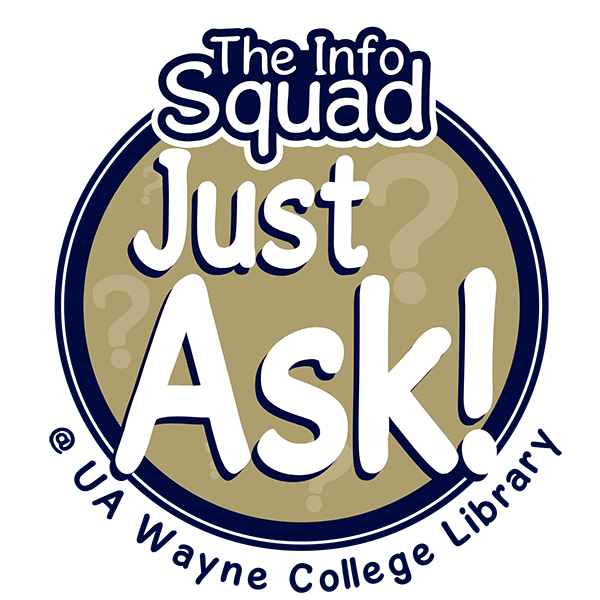 If you need immediate assistance and Maureen is out of the office, try contacting the Library information desk: (330) 684-8789 or waynelibrary@uakron.edu. Chat and SMS text services are also available during normal Library hours of operation. If you are not enrolled in the Library’s current online classroom in Brightspace, contact Maureen Lerch at (330) 684-8951 or mlerch@uakron.edu immediately. If Maureen is out of the office contact the Library Information Desk at (330) 684-8789 or waynelibrary@uakron.edu. *Zip Support or Wayne College Technical Support Services will not be able to add you to the Library’s classroom. If you have technical Brightspace questions, please contact Zip Support at (330-972-6888) or email to support@uakron.edu. The Zip Support Help Desk website may have the information you need. Step 1: Do you need to complete the modules, which ones do you need, and what are your course instructor's requirements? You may not need to complete the modules this semester. Check your course syllabi and determine which of your instructors want you to complete the library's information literacy modules. Determine which ones you need to complete. Determine your course instructor's score requirements. The library recommends that students achieve 100% on a module's quiz as a passing score. This may vary from instructor to instructor. Step 2: Do you have access to the library's current information literacy modules classroom? Log in to Brightspace and locate the current semester's library classroom for the information literacy modules. There is also a link provided on the right frame of this guide. If you have access to the classroom, you're all set. If you do not, contact Maureen Lerch immediately to be added. Step 3: Read all introductory materials. Read this entire guide, including the Frequently Asked Questions. Read through any announcements in the library's current information literacy modules classroom. Read through your course instructor's expectations or assignments associated with your completion of the information literacy modules, including any explanations of how these modules fit in with your course learning outcomes and assignments. Step 4: Complete the Pre-Test in the library's current information literacy modules classroom. This pre-test will have no bearing on your module scores. This pre-test was designed to ensure you understand all of the expectations before you begin working on the content. The pre-test includes a single question that acts as a contract between the student and the library staff acknowledging the rules and expectations of the classroom. You will not have access to any module content or quizzes until you achieve a 100% on the pre-test. (This simply requires affirming that you have read and understand the requirements of the modules). Step 5: Complete the modules. Once you have successfully passed the pre-test you will see each of the twelve modules listed. The modules are best completed in order as they build on skills learned in previous modules. View the module content by selecting "Information Literacy Modules" from the navigation bar. Once you select your module from the "Table of Contents," review the introductory information including overview, special module directions, and learning outcomes. Select the first segment. You must interact with every required segment, including self-check exercises, in order to access the module's quiz. Do not skip any segments. Print out the module's worksheet by accessing either the provided MS Word or PDF versions. Take notes on the worksheet as you move forward through the content segments. Step 6: Complete the module quiz. You may review your completed module worksheet while you complete your quiz. You may save your answers and refer back to the module segments as needed. The quiz is not timed. Do not work on your quiz with other students. You must do your own work. Note: If you work on a quiz with another student you will receive a zero on the quiz. Academic dishonesty (sharing exam information with another student) may be reported to the Assistant Dean of Student Services for further investigation. 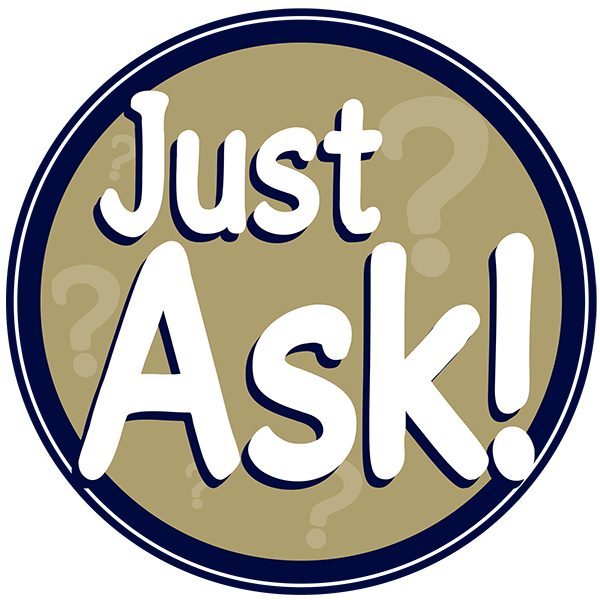 If you are unsure when answering a question and you need help save your answers and contact the library staff. Do not ask your course instructor or other students for help. Some questions will ask you to apply the skills discussed in the content. The only way you will be able to answer the question is to perform the requested tasks. You may be asked to locate a database, perform searches, or locate specific items. The answers to these questions will not be found in the module content. When you have completed all of the quiz questions save your answers and submit your quiz. Step 7: Review your quiz results. The quizzes will be graded immediately. Once your quiz has been graded, view your score. If you did not receive a 100% score you should review your quiz submission to see which questions you missed and read the feedback provided by the librarian who graded your quiz. If you did not receive your desired score you may take the quiz again. Review your quiz submission and the provided feedback, and then review the module content to make sure you understand why you got the question wrong. If you are still unclear as to why you got it wrong, contact the library staff. We recommend that you contact the library staff after your second attempt so we can discuss you results and make sure you're all set for your next attempt. Before you contact the library staff be sure to review the quiz feedback provided in your graded submission. Step 8: Repeat for any other modules you need to complete. On the navigation bar select the link for "Grades"
You best score for each module quiz with be displayed. Unfortunately, Brightspace no longer includes your name when you use the "print" button on the Grades summary page. Take a screen shot of the page. Use your phone camera or use the keyboard "Print Screen" button (PrtScn on most keyboards). Once you take the screen shot you can paste the image in a word document to print out and provide your instructors. Previous semester module scores: You will have access to previous semester scores if your course instructor accepts older quiz scores. Check with your course instructor to see if he or she will accept previous semester scores. 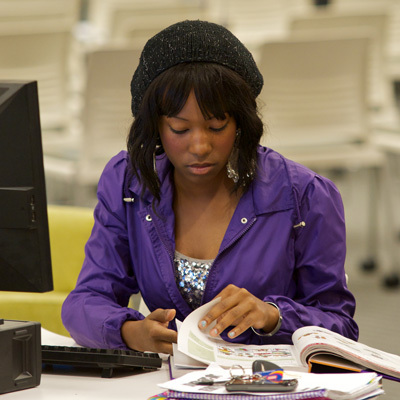 How does the library support the college's information literacy initiatives? The library offers a menu of online information literacy modules, assignment-specific library instruction, and information literacy workshops by request. The library staff work closely with faculty to deliver instruction that supports core information literacy skills. What information literacy modules are offered by the library? Each semester the library provides all students and faculty associated with any Wayne College course access to an online classroom in Brightspace that includes a variety of online modules. These modules are assigned in specific courses. Specific module descriptions are provided to faculty and students at the start of each semester and can be viewed online in the classroom. The module topics range from choosing an appropriate topic, developing online search strategies, distinguishing among formats, and how to search a variety of sources, including library databases and sources on the free Internet. How do I log into the Library's Brightspace Classroom? I don't have a link to the Wayne College Library Services classroom in Brightspace. How do I get access to the classroom? Only students enrolled in Wayne College courses are enrolled in the "Wayne College Library Services" Brightspace classroom at the start of each semester. If you do not have access to this classroom and need it, please contact Maureen Lerch. Am I required to take these modules? Required modules vary by course and instructor. At the beginning of each semester check your course syllabus to see which, if any, library modules are required and any corresponding deadlines. How do I prove that I completed the modules? Provide your course instructor a copy of your quiz grades summary (available under "grades" in the library's Brightspace classroom). Most instructors require a 100% on the module quizzes. Students will have access to their quiz scores going back at least two previous academic years. Be sure to check with your instructors to determine if they will accept older quiz scores. What do I do if I do not pass a quiz? Students are allowed multiple submission attempts for each quiz. Prior to completing another attempt be sure to do the following things: Review your completed quiz attempt and all provided feedback, review the appropriate module's content and the notes you took on your handout, and ask the library staff for help if needed. (View this YouTube video with instructions on how to view your feedback). Your final score will be your highest attempt. How do I see which questions I missed and view feedback?? Below the question is a link to "View Feedback"
Why are there deadlines to complete the quizzes? Quiz attempts must be completed by the deadlines set by individual course instructors. Quizzes will not be available after the last week of classes in the semester, although grades from completed tests will still be able to be retrieved. What do I do if I've taken the modules during a previous semester? Check with your course instructor to see if he or she requires current semester scores. If they do, you will need to complete the current semester quizzes. You'll need to start with the pretest, review the content (engaging with every segment), and take the current quiz. If older grades are acceptable to your course instructor, locate the previous semester's library classroom in Brightspace, locate the "Grades" link, and print the scores. You will NOT be able to complete or retake any quizzes in older semester classrooms. They have expired. If you need to "fill in" modules you didn't take previously or need a better score this semester you will need to complete those quizzes in the current classroom. Go to the current classroom, complete the pretest, and complete the modules you need to take or repeat. The library staff have created a menu of online information literacy modules that highlight the research skills needed to be successful during the first two years of college. These workshops may be required by individual course instructors. Students should check their syllabi at the start of the semester to determine which modules are required in each course. Module 1: Using Databases for Research: This module lays the foundation for performing academic library research by defining what databases are, explaining why we use databases over other search tools, and providing examples of databases we use every day and those we might use for academic research. There are no prerequisite modules to complete prior to this one. Module 4: The Research Plan: Distinguishing among Formats: This module distinguishes among a variety of potential resource formats (books, periodicals, media, and websites) in order to aid in the research plan decision making process. There are no prerequisite modules to complete prior to this one. Module 5: The Research Plan: Popular and Scholarly Sources: This module distinguishes among popular, professional, and scholarly sources in order to aid in the research plan decision making process. There are no prerequisite modules to complete prior to this one. Module 6: The Research Plan: Choosing Appropriate Databases: This module focuses on choosing appropriate databases for specific research needs among the hundreds of databases available through The University of Akron Libraries. Choosing between databases based on coverage (general or subject-specific, dates covered, etc.) and formats available will aid in the research plan decision making process. Prerequisite: Module 1. Module 7: Searching Library Catalogs (Basic): This module is an introduction to library catalogs and demonstrates basic library catalog search strategies (author, title, and subject searching). Prerequisites: Module 1, Module 2, Module 3, Module 4, Module 6. Module 8: Searching Library Catalogs (Advanced): Building on the skills discussed in Module 7, this module focuses on more advanced searching of library catalogs, including keyword searching, limiting and sorting results, retrieving and requesting items. Prerequisites: Module 1, Module 2, Module 3, Module 4, Module 6, Module 7. Module 9: Searching Periodical Databases (Basic): This module will lay the foundation for searching using periodical databases: performing basic keyword searches and examining database records for the citation, abstract, subject headings, and availability. Prerequisites: Module 1, Module 2, Module 3, Module 4, Module 6. Module 10: Searching Periodical Databases (Advanced): Building on the skills discussed in Module 9, this module focuses on more advanced searching of periodical databases, including using field-specific searches and limiters to locate focused information. Prerequisites: Module 1, Module 2, Module 3, Module 4, Module 6, Module 9. Module 11: Internet for Academic Research: This module explores web domains, page depth, how search engines work compared to research databases, and which materials exist in the "Invisible Web" in order to lay the foundation for effective web searching for academic sources. Prerequisite: Module 1. Building on the skills discussed in Module 11, this module focuses on advanced Internet searching, highlighting Google strategies, shortcuts, and special features to aid in locating appropriate academic materials. Prerequisites: Module 1, Module 11. Using the six key interrogatives (who, what, where, when, why, how) evaluate the information you consume. Apply the interrogation skills throughout your research process to ensure that the sources you consider and eventually incorporate into your projects meet the standards required of academic research. The modules are available as online tutorials in the library's Brightspace classroom. You must be a currently enrolled student at Wayne College to access the library's online classroom. Contact Maureen if you do not have access to the current semester's library classroom. As an adult learner you most likely have multiple roles and commitments to juggle. In addition to being a student, you may be an employee, a parent, a community leader, or a caregiver to a family member. If you are a full-time student, you are working to learn a wide variety of new skills and to meet the expectations for multiple courses. Online courses make it possible to manage your learning around these other roles, but you must carefully plan your education to make this work. Responsible information literacy module completion means that you will plan your schedule so that you can meet module requirements and manage your time so that you can complete the content and your quizzes on or before the date they are due. The deadlines for each workshop are determined by your individual course instructors. You must complete the module's worksheet as you work through the content. When asking for help be sure to have your completed worksheet ready so we can review it together. You must review all module segments unless that content is clearly labeled as optional. If an item is not labeled as optional, you can assume it is required. You must log in regularly and read all “News” items posted on the course home page. This is how the Library staff will communicate important updates regarding database outages, planned network outages, or anything else that might impact your ability to complete the modules. You are responsible for completing all quizzes before the due date assigned by your course instructor. All quizzes expire prior to final exams. Technical challenges are not an acceptable excuse for missing deadlines. You must ensure that you have access to a working computer at all times. Please do not wait until the deadline to submit quizzes. If you do experience any technical issues, please contact Zip Support and ensure that the issue is tracked though the Footprints ticketing system. If you have any questions or concerns about any of the content, quizzes, or your performance, please contact the Library staff immediately. Do not wait until the quiz deadline or the performance cannot be rectified. If you decide to withdraw from the course that required the Library modules you may inform the Library staff if you decide to be un-enrolled in the Library’s Brightspace classroom. If you have completed any content or quizzes these will be unavailable to you in the future if you withdraw. The Spring 2019 information literacy modules will be made available to students and faculty associated with all Wayne College course sections on Monday, January 14, 2019 at 8:00 a.m.
You will need to enter your UAnet ID credentials. If you receive an error message, contact Maureen Lerch immediately. Any student who has a disability that substantially limits learning in a higher education setting may contact Wayne College’s Accessibility Services for information regarding eligibility for reasonable accommodations. Contact Julie Hartzler, Disability Specialist and Service Coordinator at (330) 684-8923 (Voice) or julie21@uakron.edu (email), or visit the website. Students at The University of Akron are an essential part of the academic community, and enjoy substantial freedom within the framework of the educational objectives of the institution. The freedom necessary for learning in a community so rich in diversity and achieving success toward our educational objectives requires high standards of academic integrity. Academic dishonesty has no place in an institution of advanced learning. The University community is governed by the policies and regulations contained with the Student Code of Conduct available from the Office of Student Judicial Affairs, Student Union 216, (330) 972-2524. The University of Akron considers academic integrity an essential component of each student's personal and intellectual growth. Instances of academic dishonesty are addressed consistently. All members of the community contribute actively to building a strong reputation of academic excellence and integrity at The University of Akron. It is each student's responsibility to know what constitutes academic dishonesty and to seek clarification directly from the instructor if necessary. Students completing the Information Literacy Modules are expected to honor the Student Code of Conduct. Working on quizzes with another student. Sharing quiz answers with a classmate. Allowing another student to copy from your quiz. Copying, in part or in whole, from someone else’s quiz. Printing quizzes or quiz results with the intent to distribute to or share with other students. Altering or interfering with grading. The student will receive a zero on the quiz. The misconduct may be reported to the course instructor. The misconduct may be reported to the Assistant Dean, Student Services for further investigation. Online learning is different from face-to-face classes. The biggest difference is that you will be responsible for your own time management and organization. This requires discipline and attention to detail. The role of your instructor in an online course is to make the information for learning available to you and your role is to follow through with the structures put in place to help you learn. You must read all directions, follow all deadlines, and ask questions when you are unsure of what to do. You need to log into the course and check your university e-mail on a regular basis (daily is best) to ensure that you have the most up to date information. You need to locate and understand all instructions, follow through on all assignments, and stay on track with due dates. You are also responsible for the technical requirements necessary for your course. This means that if you have computer or connectivity problems you are not guaranteed an extension; you must have backup systems available at all times. Be sure to complete your work, save your answers, and submit your quizzes early enough so technological problems don’t interfere with your deadlines. In order to take advantage of multiple quiz submission opportunities, it’s in your best interest to complete the quizzes as early as possible.